It’s officially my favorite time of year: fall! That means hot apple cider, pumpkin patches, blueberry donuts (from my beloved White House Fruit Farm) and CHILI! Chili is one of my go-to meals when I don’t have a ton of time. It takes about 20 minutes to prepare, and most of that time is letting it sit on the stove and heat. 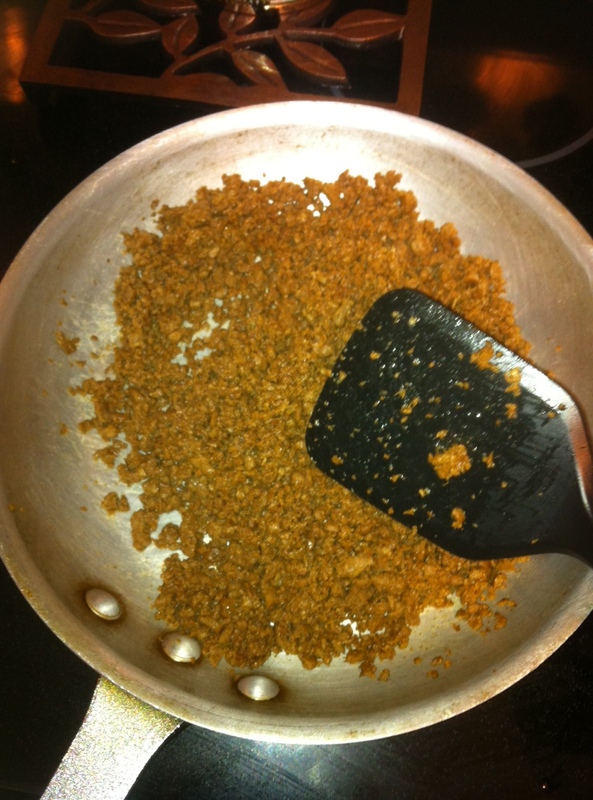 The chili recipe I’m sharing also includes Boca Meatless Ground Crumbles. I’m not a big fan of ground meat and actually tend to steer toward vegetarian options when I can. You can’t taste the difference with this stuff. It looks (and tastes) like ground beef. My husband even loves it! See? Anyway- here’s the recipe and everything you need. Hope you enjoy as much as we do! Spray your pan with cooking spray or mist with olive oil to prevent the crumbles from sticking. Heat for 1 minute on medium. While your pan is heating, stick the Boca bag in the microwave for 45 seconds on high. This will thaw the crumbles just enough to separate them. Open your Boca bag and slowly dump the crumbles into the pan. Be sure to l heat thoroughly (usually 5-7 minutes) and stir often. After your crumbles are thawed and warm, add in chili seasoning, kidney beans (undrained), and diced tomatoes (undrained). Bring mixture to a boil, then let simmer on low heat for 10 minutes, stirring occasionally. 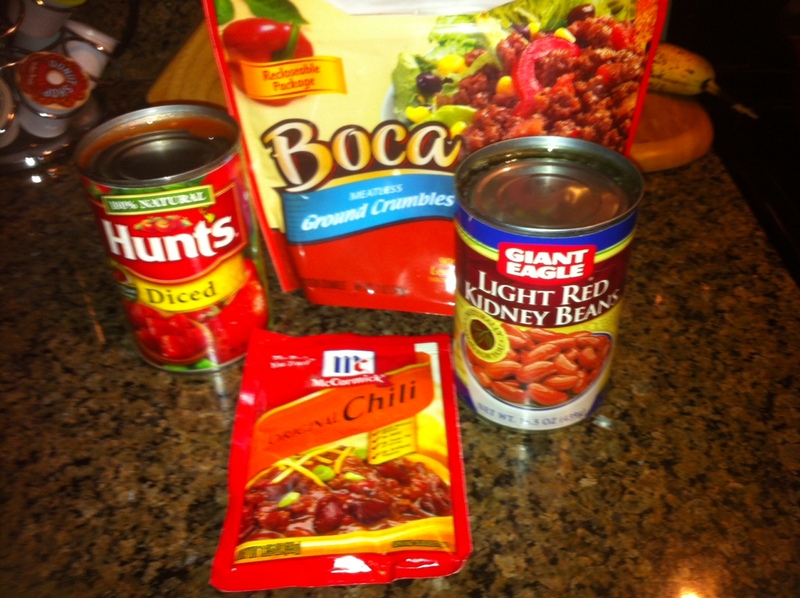 I love trying new recipes- so if you have a chili recipe you love feel free to send it my way. Happy fall!